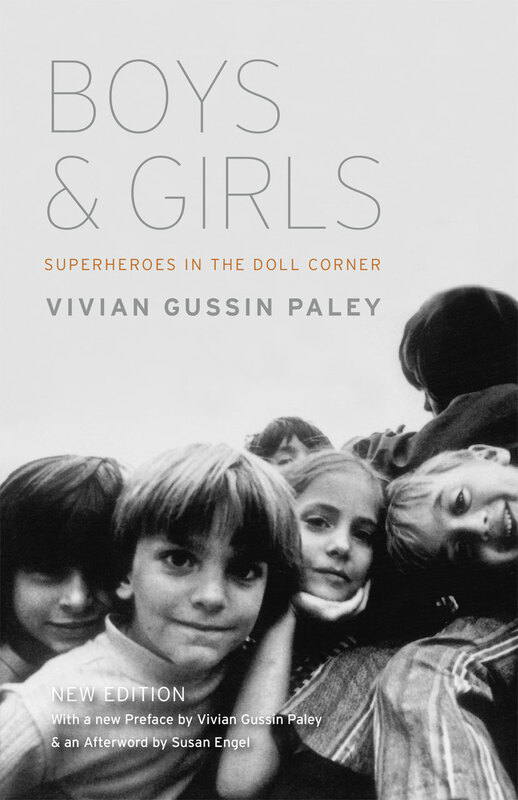 With the publication of Boys and Girls in 1984, Vivian Gussin Paley took readers inside a kindergarten classroom to show them how boys and girls play—and how, by playing and fantasizing in different ways, they work through complicated notions of gender roles and identity. The children’s own conversations, stories, playacting, and scuffles are interwoven with Paley’s observations and accounts of her vain attempts to alter their stereotyped play. Thirty years later, the superheroes and princesses are still here, but their doll corners and block areas are fast disappearing from our kindergartens. This new edition of Paley’s classic book reignites issues that are more important than ever for a new generation of students, parents, and teachers. "Paley has a sharp ear for the rhythm and inflections of childhood. Her vignettes give us a revealing glimpse into children’s inner lives, and her discussion of her own discomfort with boys’ play and approval of that of girls raises an important issue."